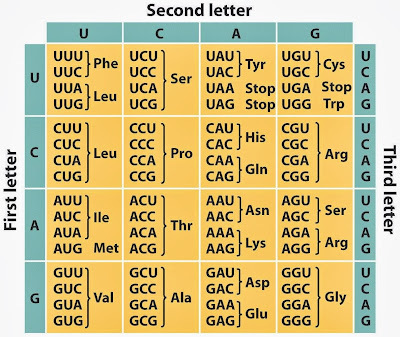 The genetic code table shows triplet nucleotide codons and how the genetic information is translated into aminoacids. It consists of 64 triplets codons. Each codon codes only one type of aminoacid. 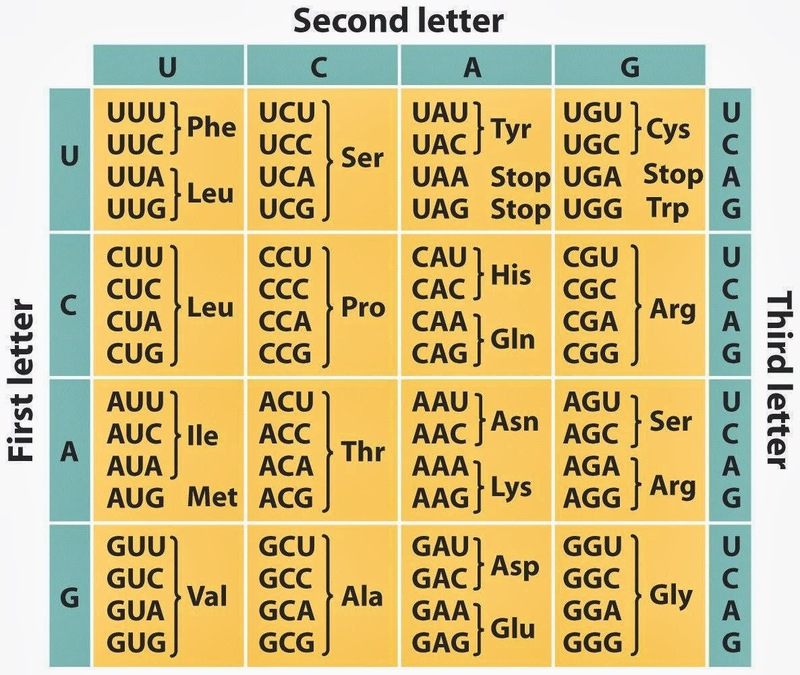 Most of the aminoacids are coded by more than one codon. Three of the codons are stop codons. These are : UAA, UGA, UAG. When a ribosome recognizes a stop codon, protein synthesis stops. Also there is a start codon, AUG, coding Met. aminoacid. When smaller sub-unit of the ribosome recognizes this codon, protein synthesis starts.